When I wrote our guide on how to build a great settlement in Fallout 4, one of our readers asked how to get 100 happiness in your settlement and I decided to dedicate an article to this matter, because there is a bit to write on this and it’s extremely important as everybody wants to keep their settlements in a shape that’s as close to perfection as possible. Getting maximum happiness meters is not easy, but not impossible – and the higher the number, the better. But now let’s check out how to increase the happiness in our Fallout 4 settlements to 100! And, of course, get the Benevolent Leader achievement / trophy! 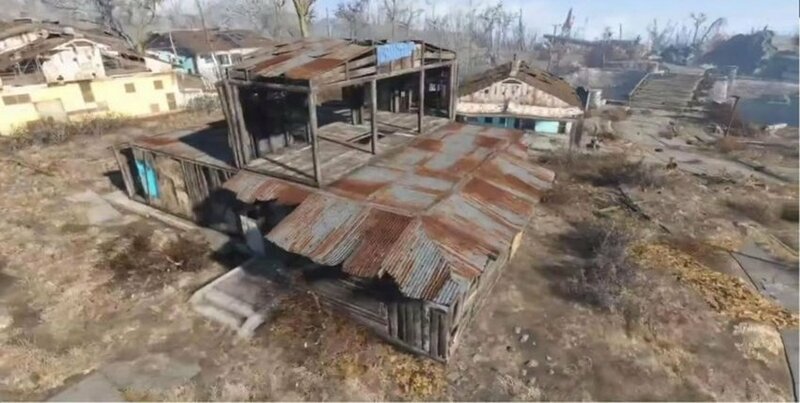 The bad news for those with low charisma levels is that you will need the Local Leader perk in order to raise your settlement’s happiness above 80 and even more, you need at least the second level in Local Leader in order to be able to build shops too. So, in order to be able to reach happiness of 100, you need to first take care of the basics: make sure that your settlement has enough beds for your people, enough food and water, twice the defense than the number of people living there and you’re already off to a good start. Once you get here, you need to build Bars, Clinics and Stores in order for the happiness level to increase. Simply build at least once of each of the biggest available in the game (level 3) and assign people to it. With all the previous requirements met, this should raise your score to maximum. If that doesn’t happen, build a new set of shops and assign people to them. 1. Don’t try to get happiness to 100% in Sanctuary, you will never have enough room for more than 20 settlers. Find a larger place to focus on and focus on a single settlement. 2. Build Recruitment Radio Beacons in most of your settlements, they draw in other settlers. Send those settlers to the settlement you want to focus on. 3. Build shelter, water, food and defenses as required. Assign people to work where needed (you need 1 worker per 6 plants, ideally use only Mutfruit plants as each produces 1 food, while the others produce 0.5). I would suggest to only build the basic turrets for defense as they are good enough for what you need and 1 or maximum 2 defense points, because you will need your settlers assigned to other stuff. Make sure that all the beds are inside, otherwise you will lose happiness. Finally, only build the basic water pump because the rest requires electricity and there’s no need to overdo that either. 4. Another few tricks that should be done whenever possible: buy a dog (you can purchase dogs after random encounters with strangers and dogs increase happiness). Also some settlers will simply refuse to work. If they do, send them to a different settlement (I have one for the renegades, not to mess them up) and get another settler instead from other settlements. 5. Start building the level 3 shops. These are insanely expensive, but it’s the only way to go. Usually, two of each guarantee you 100% happiness in your settlement, but that will take some time as you need a lot of resources, money and settlers. So work on it slowly, as you progress through the game. There’s no real hurry to get there! But at least now you know how to do it. Ideally, you should spend some time in the settlement as well until it gets to 100, after completing all the steps above because it seems that randomly the game reduces the happiness if you’re not in the settlement.